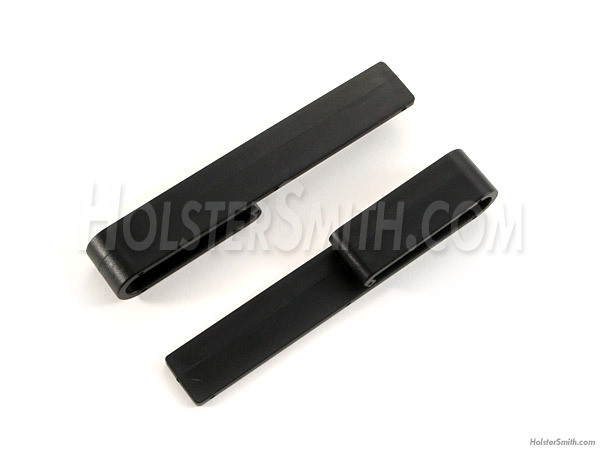 These universal drop-style belt clips are very handy when your attachment mounting holes are lower than the belt line, allowing you to position your ride-height to your own personal preference, while using a preferred lower attachment point on your holster or sheath. This works very well when using the existing outer eyelet binding holes on a thermoform holster, for instance. 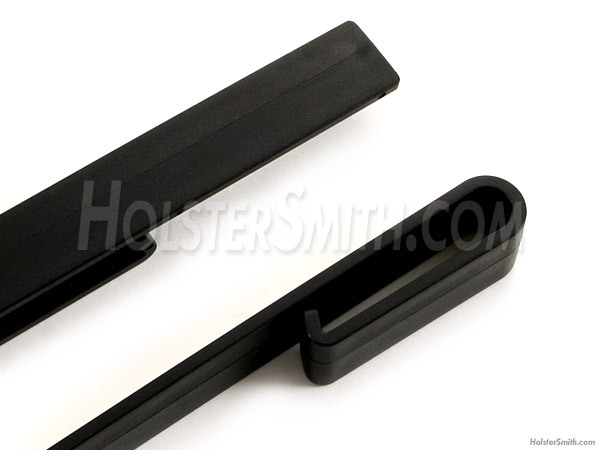 These drop-style belt clips are non-drilled and can be adapted to any existing hole alignment. 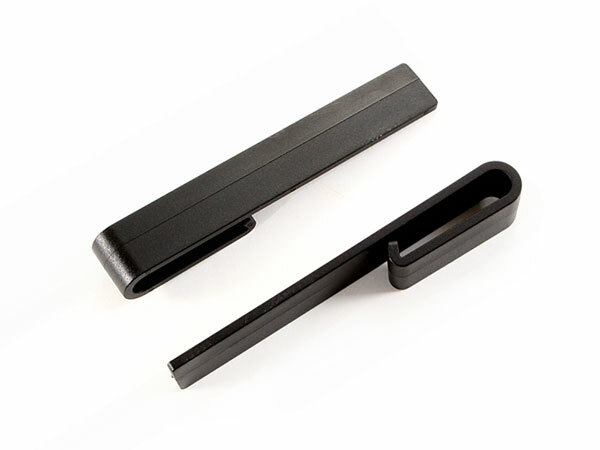 They can also be trimmed to your desired length, and feature a retention hook on the bottom of the loop to secure your rig.